Waste to energy is the process of generating energy in the form of electricity and / or heat from the incineration of waste, and it is a form of energy recovery. Most waste to energy processes produce electricity and heat directly through combustion, or produce a combustible fuel commodity, such as methane, methanol, ethanol or synthetic fuels. Cutting edge waste to energy technologies include the thermal technologies of pyrolysis and gasification and non-thermal technologies such as anaerobic digestion, fermentation, and mechanical biological treatment. These can generate more energy and reduce the harmful environmental impacts that stem from traditional incineration of municipal solid waste (MSW) plants that produce refuse derived fuel (RDF). In addition, new waste to energy technologies reduce the volume of waste by up to 95% and decrease the need for landfilling. In developing countries, waste management is a serious problem due to rapid urbanization and the lack of infrastructure and resources. The cost of solid waste management is high, mainly because of collection and transport, and due to poor governance structures, many countries, such as India and the Philippines, have a dearth of trash collection and disposal mechanisms. Therefore much waste is not properly disposed of and creates environmental and public health hazards, particularly in poor areas. Therefore the need for waste to energy technology implementation is clear. 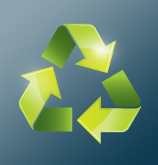 Resource recovery is the selective extraction of disposed materials for a specific next use, such as recycling, composting, or energy generation. Resource recovery can also be described as reclaiming of garbage materials for a new use. It includes collecting, sorting, and processing materials that are traditionally viewed as waste and transforming them into the raw inputs used to create new products. The aim of the resource recovery is to extract the maximum practical benefits from products, delay the consumption of virgin natural resources, and to generate the minimum amount of waste. Resource recovery differs from the management of waste by using Life Cycle Analysis (LCA) to offer alternatives to landfill disposal of discarded materials. A number of studies on MSW have indicated that administration, source separation, and collection followed by reuse and recycling of the non-organic fraction and energy and compost or fertilizer production of the organic waste fraction via anaerobic digestion are the favored alternatives to landfill disposal.